About five years ago, I was invited to give a series of lectures at universities in Mashhad, Isfahan, Shiraz and Tehran and dialogue with Islamic scholars in Qom. The Q&A session after each presentation was a lively affair. The most frequently asked question was about the reliability of the Bible. What did I think about Mel Gibson’s film The Passion? What did I think about Dan Brown’s book, The Da Vinci Code? Over 1 billion people apparently believe the views popularized in The Da Vinci Code. They believe the message of the Bible has been corrupted and distorted, that Jesus is not the Son of God, but simply a Prophet and that he did not die on the cross or rise from the dead. They believe that there were many other accounts of the life of Christ suppressed and destroyed before and after the Council of Nicea in 325 AD. They believe that the Emperor Constantine commissioned the writing of the New Testament we now have which portrays Jesus as a divine figure. Dozens of other “gospels” were censored. They believe the Gospel of Barnabas is the only known surviving account written by a disciple of Jesus and accepted as authentic before Nicea. It was supposed to have been rediscovered by a monk named Fra Marino, who came across an Italian manuscript in the Pope’s private library in 1590. He smuggled it out of the library, read it and became a Muslim. The only known manuscript is in the Austrian National Library in Vienna and dates from the 16th Century. It was translated into English in 1907 by Laura and Lonsdale Ragg. Their introduction explains why they believe it to be a Medieval forgery. Emperor Constantine did summon the Council of Nicaea in 325 AD. However, he was not “a lifelong pagan who was baptized on his deathbed, too weak to protest.” It is true he was not baptised until shortly before his death-but the deferment of baptism was common in those days. Constantine summoned the Council of Nicaea primarily to end disunity caused by the Arian controversy. Arius taught that although Jesus was the Son of God, he was less than the Father. The nearest equivalent might be the Jehovah’s Witnesses today. The discussion at Nicaea was therefore not about whether Jesus was the Son of God, but whether he was the same substance as the Father or a lesser god. Constantine had absolutely nothing to do with fixing the canon of Scripture. The canon was pretty well fixed by the fourth century. The Gospels and Epistles we have were recognized as authentic by those who knew the authors to be eyewitnesses and trustworthy. No Council of the Church gave the New Testament documents the status of Scripture. On the contrary, the Scriptures gave the Church its status. Early church communities recognized the inspiration and submitted to the authority of the Scriptures. The New Testament documents were in wide circulation during the 1st and 2nd Century and diligently copied and copiously quoted by the Early Church Fathers. So much so, if every New Testament manuscript in existence was destroyed, it would be possible to re-write virtually the entire New Testament from quotations drawn from them in the first three centuries. If Muslims have been taught that the Bible is unreliable, and if millions of skeptics have read Dan Brown’s books or watched the Da Vinci film, the chances are you know some of them. How can we know that the New Testament is reliable? I recommend Josh McDowell’s book, Evidence that Demands a Verdict. Next to the Bible, it has been the most important book I have ever read, and I turn to it regularly. I also recommend F.F. Bruce’s book. The New Testament Documents: Are the Reliable? You can download the text of the book from here. I also commend Paul Williams and Barry Cooper’s book, If you Could ask God One Question. Here are six questions we can try and answer. How credible are the writers? 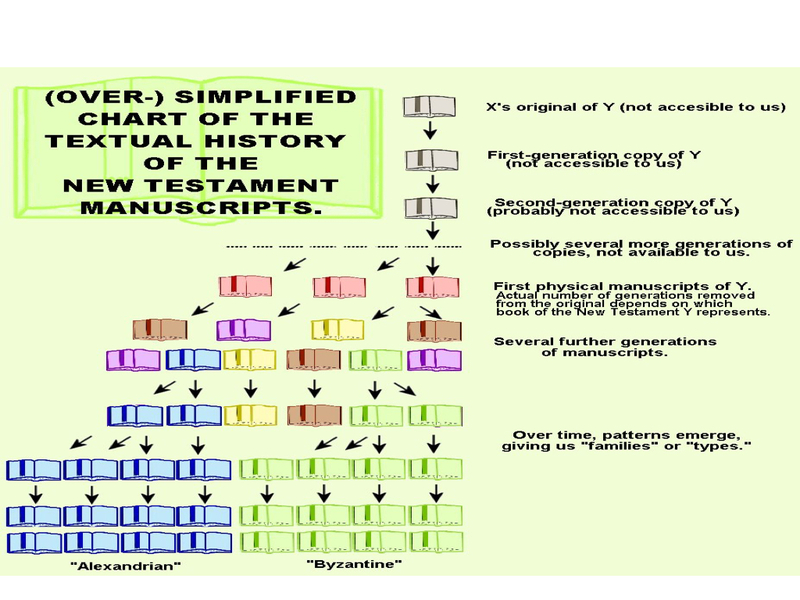 How early are the extant manuscripts? When was the New Testament Canon agreed? Why are speculations about the reliability of the New Testament so popular? 1. How can we test the reliability of the New Testament? Sanders was a specialist in military history so hardly biased. The three tests are elaborated here. Our legal system uses this approach in the law courts in order to establish a verdict based on reasonable evidence. There are several factors that must be taken into account when considering a piece of ancient writing like the New Testament. This includes such factors as who wrote it, how soon after the actual events happened was the document written, how many copies were written and what is the time-span between the original work and the first copy being made? Obviously the longer the period of time between the actual events happening and the first copy being made increases the possibility of errors occurring or information being changed. Taking the New Testament documents as our example, let’s apply this method of investigation to the Gospel accounts. 2. How Credible are the Writers? This is how Luke begins his account of the life of Jesus Christ. Luke wanted to investigate the claims of Jesus Christ. He relied on eye witness accounts and synthesised them in an orderly way. His gospel is noted for its historical accuracy. He and his fellow disciples were eye witnesses. Their lives were open to examination. The first believers were not gullible. In the Acts of the Apostles, Luke praises the Christians in Berea for testing Paul’s teaching. Their writings and teachings were openly challenged. Ultimately all of the Apostles, except John who died of old age in exile on Patmos, died as martyrs, convinced by what they had witnessed, that Jesus was the Son of God the Saviour of the world. There is no greater test of credibility that witnesses prepared to die for their testimony. 3. When was the New Testament written? When it comes to dating the New Testament books, there are differences between conservative and liberal scholars but only in terms of decades, not centuries. For example, the conservative dating for the Gospel of Mark is between A.D. 50-60, with more liberal scholars placing it around A.D. 70. This is remarkable, when you consider that Jesus died somewhere around the year A.D. 30; these are authentic eyewitness accounts. Generally speaking, Paul’s letters were written between A.D. 50-66, the gospels between A.D. 50-70. 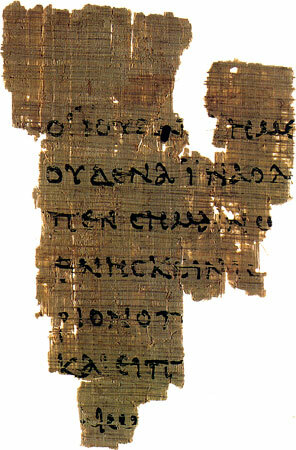 The earliest extant manuscript is a fragment of John’s gospel (The John Ryland’s papyri is dated 120 AD) which had already been translated from Greek into Coptic. The epistles of Paul invariably conclude with a list of individuals known to the recipients, some of whom were companions of Paul or were his messengers. He ends his epistle to the Colossians, presumably sent with Tychicus, with the instruction that they share his correspondence with the church in Laodicea. There is therefore every reason to believe that his letters were copied and widely disseminated by those who knew him personally. In the Peter’s second letter he refers to the writings of Paul as scripture. The significant date in dating the New Testament is 70 AD. Jerusalem had been occupied by Jewish zealots since 66 AD. The siege ended in 70 AD with the total destruction of Jerusalem by the Roman army led by Titus, who eventually became Emperor. The sacking of the city, the destruction of the Temple and the deportation of the surviving Jewish remnant was truly apocalyptic in proportions. Josephus the Jewish historian claims over a million Jews were killed and 97,000 deported. Titus apparently refused to accept the wreath of victory because he said he was merely an instrument of God’s wrath. Had the Temple been destroyed, the author would not have referred to the Temple sacrifices in the present tense and would surely have referred to the cessation of sacrifices as vindication of the atoning work of Christ. 4. How early are the extant manuscripts? To discover the accuracy of copying for the New Testament material and see whether or not it has been “changed,” we have to consider two factors: First, the number of manuscripts existing today; and second, the time period between the original document and the earliest manuscripts still in existence today. The more manuscripts we have and the closer the manuscripts are to the originals, the more we are able to determine where copyist errors happened and which copies reflect the original. For example, the book Natural History, written by Pliny Secundus, is known about today because of seven manuscripts. The earliest copy was written 750 years after the original text. The most frequently copied work after the New Testament from ancient history is the Iliad written by Homer. There are 643 copies in existence. The earliest was written 400 years after the original. By comparison, there are well over 25,000 extant manuscripts of portions of the New Testament. 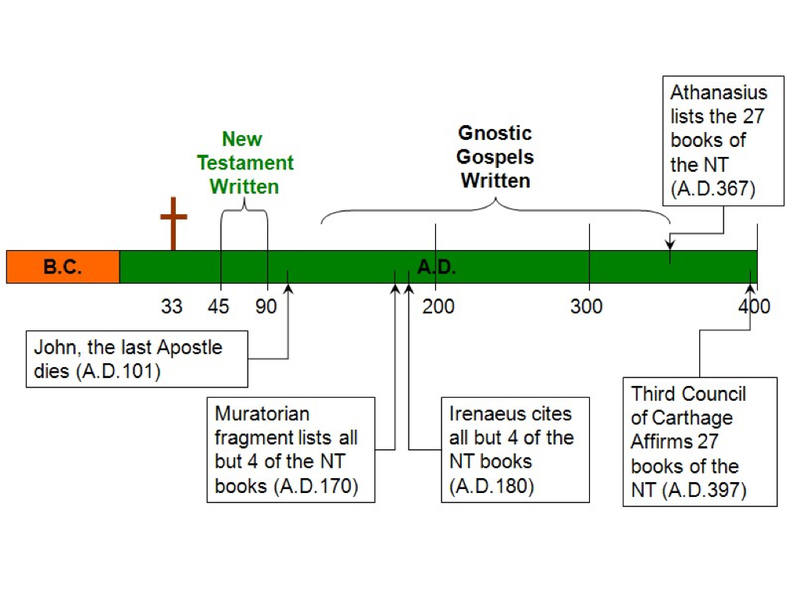 In addition, a fragment of the New Testament (NT) has been dated to within 50 years of the original, whole books to within 100 years, and the whole NT to within 225-250 years. The extant manuscripts can also be compared with one another to determine their place within the ‘family tree’, based on variations, language and dating. 5. When was the New Testament Canon agreed? The recognition of what became the definitive New Testament began 200 years before the Council of Nicea. It was only due to the challenge of missions, fraud and heresy that the church leadership felt the need to clearly articulate the list. We know that many of the books of the New Testament were in circulation and already regarded as scripture before the end of the 1st Century. 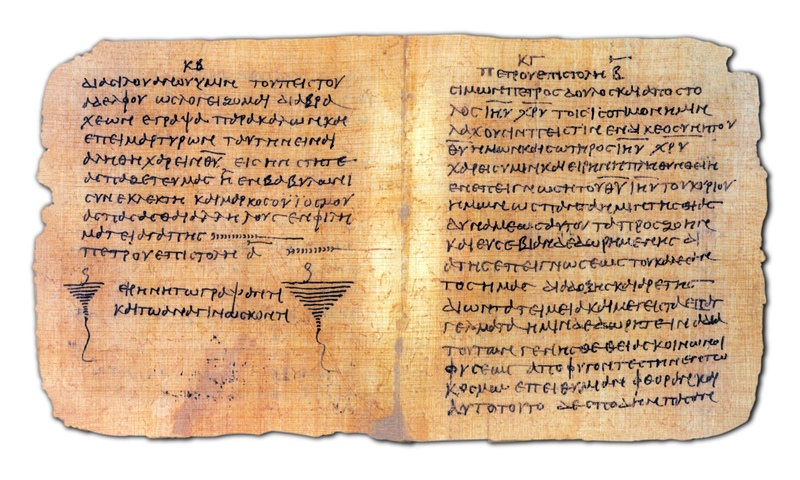 The criteria for inclusion within the canon of the New Testament was based on common recognition among the churches that a text was apostolic. If a text was considered non-apostolic it was either deemed useful for devotional or liturgical use, or excluded as apocryphal. The approach was ‘if in doubt, leave it out’. The early church father Iraneus was a student of Polycarp and Polycarp was a student of the Apostle John. In the writings of Iraneus, A.D. 180, he attests the canonical recognition of the fourfold Gospel and Acts, of Romans, 1 and 2 Corinthians, Galatians, Ephesians, Philippians, Colossians, 1 and 2 Thessalonians, 1 and 2 Timothy, and Titus, of 1 Peter and 1 John and of the Revelation. There is considerable evidence that by A.D. 150 at the latest, the church recognized a New Testament close to the one we have today. The reason some of the shorter epistles such as 2 Peter and Jude took longer to be included was due to the fact that they had not been in wide circulation. Objective scholarship upholds the integrity of the New Testament. So if the evidence for the reliability of the New Testament is so strong, why the popularity of books like The Da Vinci Code? Why does Islam rely on late apocryphal writings and continue to perpetuate the myth that the New Testament has been corrupted? 6. Why are speculations about the Reliability of the New Testament still so popular? But simply dismissing the Bible as unreliable does not change its message or teaching.Two thousand years later, the number who testify to the same living encounter with the risen Lord Jesus, continues to grow. If you are in any doubt as to your eternal destiny, then engage with the truth of Jesus. For He invites us to undertake an experiential test to determine the authenticity of his teaching. As Paul Williams concludes: “In other words, if you want to know – subjectively, in your own experience – that the Bible really is God’s word, you can. Because when you put its teaching into practice, the miraculous results in your life are such that you will know the words could only come from God. A presentation given in Maadi, Cairo, 26 January 2016. For further reading see John Warwick Montgomery: Are the New Testament Documents Reliable? This entry was posted in Bible, Evangelicalism, Theology on January 23, 2016 by Stephen Sizer.